Our Cardiff office has been situated in St Andrew’s Crescent since 2001 and is a leading provider of Wealth Management services in South Wales. Our core services include investment management services for individuals, trusts, pension funds, charities and companies, both as direct clients and indirectly via intermediaries, alongside Wealth Planning from our Cardiff-based Financial Planning team. We pride ourselves on providing a high quality service that will include regular contact throughout the year. We manage portfolios for local charities and are pleased to offer them our support. Naturally, we are great supporters of our national sports teams. The office is headed up by Terry Lewis. He is a Fellow of the Chartered Institute for Securities and Investments (CISI) and is a Chartered Wealth Manager, holding the PCIAM, IMC and FPC qualifications. Our core services cover both bespoke portfolio investment management and independent financial planning. Our advice covers the full range of investment products including Individual Savings Accounts (ISA), Self Invested Pension Plans (SIPP), Trusts, Investment Bonds, Offshore Bonds, Venture Capital Trusts (VCT), Enterprise Investment Schemes (EIS) and Business Property Relief Portfolio. Specialist areas including Estate and Succession Planning including Inheritance Tax advice and also Personal Injury and Clinical Injury Settlements planning. If you would like to find out more about the Wealth Management and Wealth Planning services offered in Cardiff, please contact us by telephone or email and we will be pleased to discuss your requirements. Our Cardiff team were delighted to host a drinks reception at the National Museum, held in the Impressionist Gallery which holds an impressive exhibition of modern British Art. 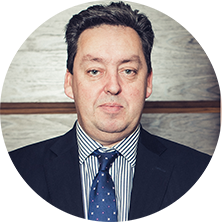 Terry is a Fellow of the Chartered Institute for Securities and Investments and is a Chartered Wealth Manager, holding the PCIAM, IMC and FPC qualifications. Terry joined WHIreland in 2003, after WHIreland took over the running of the Cardiff office from Carr Sheppards Crosthwaite. 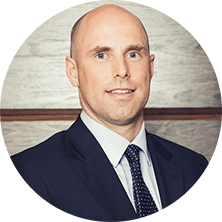 He is an Investment Manager and head of the Cardiff office, actively managing investment portfolios on behalf of private clients, trusts, and charities and has worked in the investment industry since 1989. Brinley is a Fellow of the Chartered Institute for Securities and Investment (FCSI). He is an Associate Director and Investment Manager at the Cardiff branch of WH Ireland Limited and manages portfolios on behalf of Private Clients, Trusts and Charities. 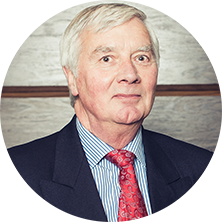 After starting his career at Lyddon & Co in 1981 working with administrative and client-facing departments, Brinley became a Portfolio Manager in 1986. In 1991 Brinley joined Henderson Crosthwaite as a Portfolio Manager, subsequently being appointed a Divisional Director. Brinley Joined WHIreland in 2002. Matthew has worked within the investment sector since 2004, after graduating with a BA(Hons) in Financial Services. Initially, he worked in holistic financial planning and retail distribution before becoming an analyst and investment manager in 2010. He is a keen advocate of Socially Responsible Investment and thoroughly understands the complexities within this field. 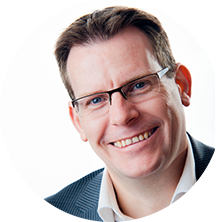 Matthew holds the Private Client Investment Advice and Management certificate, CFA certificate in Investment Management and is a member of the Chartered Institute for Securities and Investments (MCSI).